Bruyneel whacks Contador upside the head again. The Radio Shack tag team in action. Where’s the holiday good cheer, the good will to all cyclists, even Spanish ones? Lance Armstrong and Johan Bruyneel of Radio Shack continue to pummel former teammate Alberto Contador in the press. They’re working him over like a World Wrestling Federation tag team. A few days ago it was Armstrong in an interview with Australian magazine Sport&Style, telling the world that their Tour de France feud was real. “It’s no secret that we are not friends,” said the not-so-mellow Johnny. Where is Contador’s tweet machine? Where are his PR people? The man has nobody in his corner to protect him from the Radio Shack propaganda campaign. Sure, the Kazaks behind the Astana team orchestrated the break-in and theft of a $10,000 Livestrong-Trek time trial bike, but who’s got Alberto’s back? Bruyneel had already drilled Contador several weeks ago in Humo Magazine but apparently forget a few jabs and called Knack for a follow up. Favorite subject: Kid Contador’s humongous ego. “He became a superstar, a product, a God in the eyes of all Spaniards. And he has money, as much as he wants, since then,” said Bruyneel. “It is not easy to deal with all of this when you’re just a 26-year-old rider from the suburbs of Madrid.” Alberto, spend a few grand and get yourself a Twitter attack team. 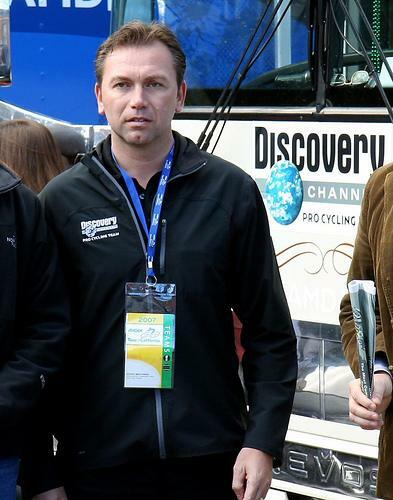 The “Spanish ego gone wild” theme is an ironic one for Bruyneel. Willfulness, runaway ambition and tremendous ego also sound a whole lot like the young Armstrong. But Twisted Spoke is not Alberto’s press body guard — although for say $75 grand we’re up for the job. There are only two people in Contador’s corner. His mechanic and financial advisor, Brother Fran and the always volatile nut case and loose cannon, Kazak Cycling Federation president Nikolai Proskurin. So far no word from Fran — we’re guessing he’s twitter-less. So the dirty work goes to Proskurin. No doubt he’s planning something big, bigger than breaking into the Mellow Johnny building and swiping a bike. That was a well-executed raid but clearly the Armstrong camp ignored the message. The Radio Shack gang does not scare easy. Just remember, the Kazaks don’t twitter. They kill, folks. There may be blood…. « The Court of Abitration for Sport. A visit to the “postponement” chateau. It’s getting pathetic don’t you think? I’m guessing Bruyneel has no mirrors in his Spanish casa. Ego? From a guy who twitters quotes from cheap managment books? If you want to know what Bruyneels real qualities are, just look at the 2006 Tour. Without Aces in the hole, Bruyneel is nothing. He knows that, he almost entirely skipped that part of his career in his book. Henkio, okay 5 bucks, that’s a start. Bruyneel does seem surprisingly bitter and petty. I’m guessing that it’s just stored up bile from his Astana days. Those Kazaks were assholes and he’s a long way from forgetting what they put him through. But I’m suprised that he just keeps fanning the flames. I wouldn’t be giving Contador any extra motivation to train. I have completely lost my respect for those two idiots. Bruyneel is a third rate sycophant for Lance. And I don’t expect this to stop here, these guys will turn this into a crescendo come next year, in the months toward the Tour. I’m no fan of Contador but pumelling a 26 year old like this in front of the whole world, behind his back, points to bad leadership example, and even worse sportsmanship.